In this current world of economic race, everybody seems to be running after money. Let me share something which inspires you in helping others. It may also let you realise that people are meant to be loved and money is for use, not the other way around. 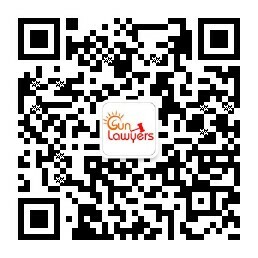 I would like to take this opportunity to share how Sun Lawyers helped me in achieving my goal. I am a Computer Engineer specialise in the area of computer networking. When I first came to Australia, I was very excited as I had been dreamed for so long that I would find a secure job in my area of expertise in this country. Very soon, I realised that finding a good job was not that easy as I had to be a permanent resident of the country in order to be an eligible candidate. As a result, I started to look at the requirements for applying permanent resident visa. After contemplating my options, I found that I was five points short of the minimum eligibility level. In a desperate attempt to achieve those five points, I even loose the “Victorian State Nomination” option. I was totally broke! I thought my dream would not come true anymore and I had to head back home. I discussed this with a friendly colleague of mine. After listening to my feelings, she suggested me to hire the services of an Immigration Law firm and referred me to Sun Lawyers, which helped her in getting her permanent resident visa. Just the last working day before the opening of “NSW State Nomination”, I contacted Ms Jing Sun, the principle solicitor of Sun Lawyers via e-mail and requested to make an immediate appointment with her. Apart from agreeing to meet me in such a short notice, she even willing to wait for me for 30 minutes after office hours. I was so impressed as I knew lawyers were very busy. I discussed everything with her and she agreed to file my nomination application. Here began the interesting part, you might have heard that you are supposed to trust your lawyer but the thing that touched me most was Sun Lawyers trust their clients too, which was very rare to find these days! I told Ms Sun honestly that I didn’t have money to pay the legal fees. I hoped she could give me some time to prepare for the money. To my surprise, she agreed to it and also paid my state nomination application fee from the law firm’s account. I was grateful to her. Besides that, due to the limited time, she actually did all my online application work on that weekend and lodged my application early on Monday morning once the nomination opened. Many of my friends were not able to lodge the application that day because of the load on NSW state nomination website. I couldn’t imagine how Sun Lawyers managed to do it. I could totally see that customers are always the priority of Sun Lawyers. To cut a long story short, with the help of Sun Lawyers team, I was not only nominated by NSW state nomination, but have recently received my permanent visa. This visa meant a lot to me as it gave me more confidence in following my dream! During the visa application period, Sun Lawyers kept me updated and guided me through the whole process. Whenever I needed them, the team was there to help me. Therefore, I strongly recommend all my friends and everyone who is struggling out there with their visa problems to visit Sun Lawyers. You will not only be surprised by their professionalism and the way they treat you as a special person, you’ll be thankful to me for the recommendation. Last but not least, when I see a group of people like Sun Lawyers, somehow make me believe there is still love and hope in this world.